26 May Fifteen Types of Cockroaches Live in South Carolina – We’re Ready for All of Them! 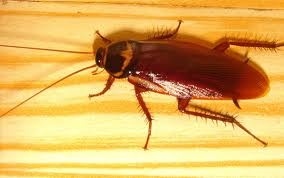 Did you know there are 15 different types of cockroaches that live in South Carolina? Just the thought of cockroaches – also called Palmetto bugs – probably makes your skin crawl. Fortunately, just because they’re here, that doesn’t mean they need to live with you. Your Okatie cockroach exterminators are on the job to provide you with safe and effective cockroach control. The minute you see a cockroach scurrying around on your kitchen floor, your heart jumps into your throat. It’s a problem that you don’t want to deal with. What you might not know is that these pests can increase in numbers very quickly. Before you know it, you could go from a small infestation to several thousand of them living in and around your home. They’re impossible to kill on your own, and because they’re so sensitive that it’s easy for them to disappear the moment they sense your presence in a room. The question is, what can be done about these pests? Working with professional Okatie cockroach exterminators is the best way to know that you’ve gotten rid of these pests permanently. At Island Pest Control, our job is to track them down and eliminate the source of the problem. Whether you’re dealing with German Cockroaches or American Cockroaches, the right approach is critical. We utilize gel baits as a way to get these pests to come out of their hiding places and feed. They carry the bait back to the others. Killing them this way is very effective. What many people don’t realize is that all varieties of cockroaches are smarter than most people give them credit for. However, we have the experience to outsmart them. Also, we take the time to provide regular inspections to ensure that your cockroach problem has been handled permanently. Do you have a cockroach problem in your home or business? Contact us.